home .Featured, Infectious Diseases What does a robin have to do with fighting the next pandemic? What does a robin have to do with fighting the next pandemic. No, this is not about weird viruses in birds (though I am sure there are some). This is about a Field Guide to the Microbes. This seems like an interesting project or set of projects. See the blog post highlighted below for more detail. How can social media be used to detect the next pandemic? Box 1. A Field Guide to Microbes? 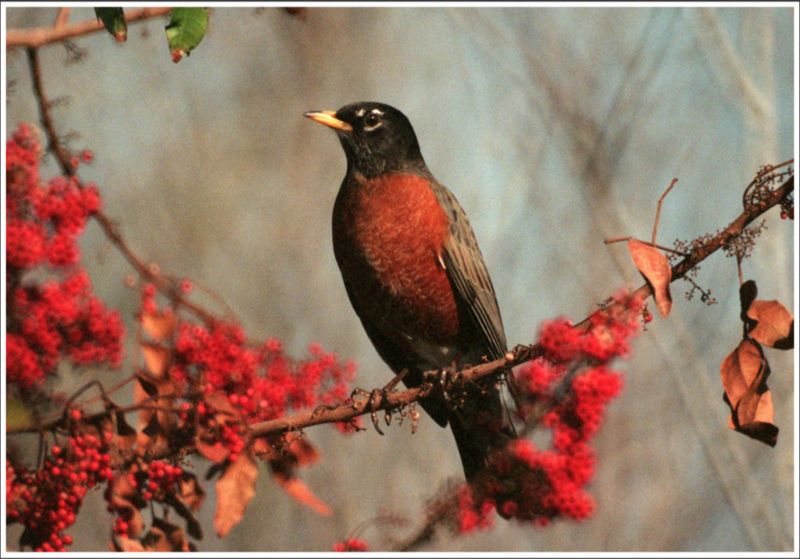 When an American robin (Turdus migratorius) showed up in London a few years ago, birders were rapidly all atwitter and many came flocking to town . Why had this one bird created such a stir? For one main reason—it was out of place. This species is normally found in North America and only very rarely shows up on the other side of the “pond.” Amazingly, this rapid, collective response is not that unusual in the world of birding. When a bird is out of place, people notice quickly. This story of the errant robin gets to the heart of the subject of this collection because being out of place in a metaphorical way is what defines an emerging infectious disease. Sometimes we have never seen anything quite like the organism or the disease before (e.g., SARS, Legionella). Or perhaps, as with many opportunistic pathogens, we have seen the organism before but it was not previously known to cause disease. In other cases, such as with as pandemic H1N1 2009 or E. coli O157:H7, we have seen the organism cause disease before but a new form is causing far more trouble. And of course organisms can be literally out of place, by showing up in a location not expected (e.g., consider the anthrax letters ). Historically, despite the metaphorical similarities with the robin case, the response to emerging infectious disease is almost always much slower. Clearly, there are many reasons for these differences, which we believe are instructive to consider. At least four factors are required for birders’ rapid responses to the arrival of a vagrant bird: (1) knowledge of the natural “fauna” in a particular place, (2) recognition that a specific bird may be out of place, (3) positive identification of the possibly out-of-place bird, and (4) examination of the “normal” place for relatives of the identified bird. How are these requirements achieved? Mostly through the existence of high-quality field guides that allow one to place an organism such as a bird into the context of what is known about its relatives. This placement in turn is possible because of two key components of field guides. First, such guides contain information about the biological diversity of a group of organisms. This usually includes features such as a taxonomically organized list of species with details for each species on biogeography (distribution patterns across space and time, niche preferences, relative abundance), biological properties (e.g., behavior, size, shape, etc. ), and genetic variation within the species (e.g., presence of subspecies). Second, a good field guide provides information on how to identify particular types (e.g., species) of those organisms. With such information, and with a network of interested observers, an out-of-place bird can be detected with relative ease. I confess that though at the time we had been thinking about social media and it’s utility in fighting pandemics, we did not really give it much attention. I think with the ever increasing use of social media it is entirely plausible that such information could be used as a key tool in tracking, identifying, and fighting the spread of global infectious diseases. Thus this blog post really struck home for me. It really seems like it is time to both create a global field guide to the microbes and also to link this to other information such as what can come from social media.